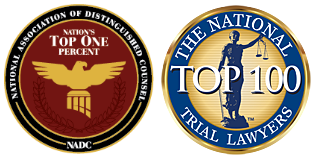 Case Results | Denver Lawyer | Mastro, Barnes & Stazzone P.C. Client charged with 2nd degree assault and found not guilt at jury trial. Client charged with stalking, domestic violence and 3 counts of trespassing. Found not guilty at jury trial. Client charged with sexual assault found not guilty at jury trial. Client charged with assault and harassment found not guilty at jury trial. Client charged with domestic violence, assault, harassment and false imprisonment found not guilty at jury trial. Client charged with solicitation of prostitution found not guilty at jury trial. Client charged with DUI found not guilty at jury trial. Client charged with careless driving found not guilty at jury trial. Client charged with sexual assault. Negotiated disposition to a non-sexual offense with probation. Client charged with possession of cocaine and negotiated dismissal of all charges. Client charged with sexual assault and negotiated disposition to a non-sexual offense with probation. Client charged with DUI and negotiated dismissal of all charges. Client charged with child abuse. Negotiated disposition resulting in dismissal of case. Client charged with DUI and negotiated dismissal of all alcohol charges. Client (R) charged with felony theft-Adams County case dismissed. Client (P) charged with felony drug offense-Adams County case dismissed. Client (S) charged with felony identity theft-Broomfield County plea agreement to misdemeanor. Client (H) charged with misdemeanor-Broomfield Municipal Court case dismissed. Client (H) granted deferred adjudication-Broomfield Juvenile Court. Client (D) charged with driving under restraint-Broomfield Count plea to non-moving violation 0 points. Client (K) charged with felony drug offense-Adams County granted deferred judgement.